If you’re looking for a unique typeface for your design project, Brainik font is just the thing! Fonts are a big deal, so they have to be attractive and readable. No need to spend hours on end searching for the perfect font. Just take a closer look at what MasterBundles has to offer! 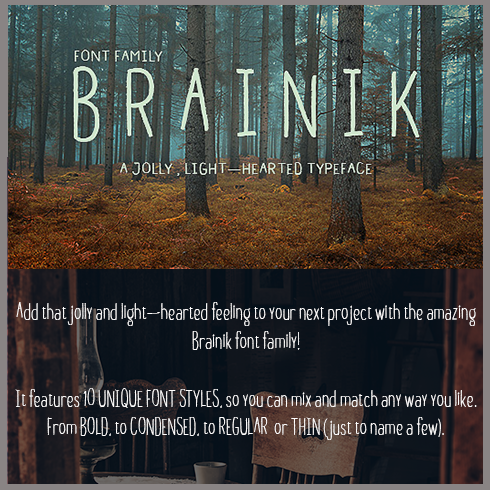 What Makes Brainik Font Family So Special? Brainik font family will surprise you with its jolly, light-hearted typeface. Create projects of all kinds from web designs to posters and envelopes using 10 different font styles in the package. It doesn’t matter if you use Brainik font for web or printed designs, your projects will definitely stand out! As a matter of fact, not only designers but also bloggers can use Brainik font. This unusual typeface is more than perfect for catching the eye of your audience. 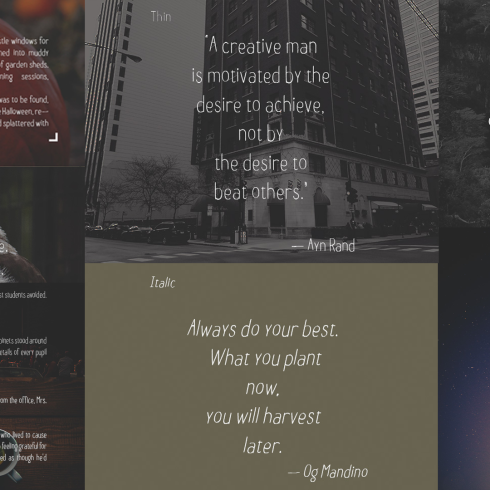 So, you can make a nice upgrade for your blog by using Brainik to make illustrations and covers for your posts. Please mind, this font family comes with a commercial license. 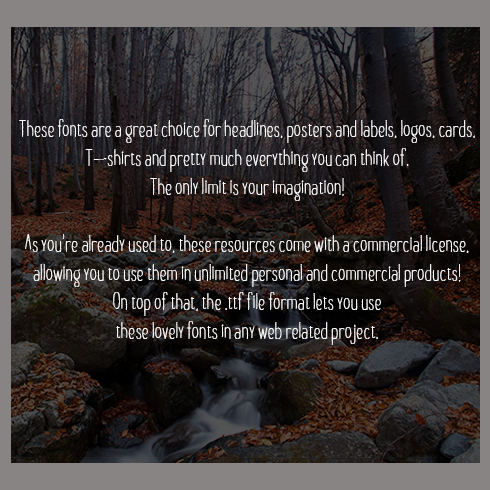 This means you are allowed to use all Brainik fonts without limit in personal and business projects. At the moment, Brainik typeface is available for a very attractive price. Don’t miss your chance to get $109 worth font family at a mindblowing discount! What Are Fonts? What Makes Fonts Essential? Font is a visual rendering of text. It could also be described as a design of a collection of letters and characters. With various shapes, point sizes, font weight, and shade, fonts in many instances establish the appearance of design. The price on a font range between $7 to $100 depending on the marketplace and vendor. – Compatible with both Mac & Windows. What Are Product Bundles and How Much Do They Cost? Font bundle deals are the favored offers for pro graphic designers. A bundle is actually a collection of a number of high-quality fonts. A font bundle costs you much less as compared to the prices of all these fonts separately. Purchasing a font bundle you save anywhere up to 99%. At Masterbundles.com, there are plenty of font bundles within the range of $4- $50, based on the selection of fonts inside the font bundle. If you search for discount rates, it can save you substantially more and grab amazing fonts for professional use. There are 5 types of fonts. Serif fonts are more traditional, they can be easily recognized via tiny lines placed on letters. Sans-Serif fonts are a newer type, and letters don’t have tiny lines on their ends. Slab-serif fonts are massive and blocky, these fonts add substance to the design and style. Scripts imitate hand writing and have interconnected characters. Stencils are known to have rounded boundaries and narrow strokes, one can use them to develop a creative headline. How Can Fonts Influence Perception of the Product or Company? In the case of setting up advertising banners, one needs to take the selection of web font rather seriously. Ad banner creators should select those types of fonts that will match the atmosphere of their advertisement. The font itself does not only carry details in a form of text but also fills it on an emotional level, provided one is put to use appropriately. Most of the time, the advertising text shows the person an idea of the company’s product/service, which signifies a properly-picked font will only help with the desired aesthetic impression. I Have Not Found Any Suitable Fonts in This Font Bundle. What Should I Do? If perhaps you haven’t discovered the suitable font in this particular package, do not give up hope! There are tons of bundles from the very best graphic designers on our site. Spend some time to look through them all and you will find the perfect bundle! It is so rewarding to at last track down the deal that suits your artistic and professional requirements. What Other Sorts of Bundles Do You Market on MasterBundles.com? In addition to font packages, we have numerous helpful design and production packages to present. Those can have an incredible impact on your performance in case you are a web designer or artist. Those are ready-made sets with high quality infographic elements, vector illustrations, WordPress themes, and overall, web units with numerous solutions together. All those kits are super cost-effective during the sales period, so it’s better if you monitor those opportunities and get it fast! MasterBundles.com is an online marketplace. On our website, pro designers sell their designs at the best prices. This site offers the best deals on the market, and our products are highly reviewed by clients. Take a look at our blog, it is loaded with practical information for professional web designers. Furthermore, in case you register for our newsletter, you will be the first to be informed on our special discounts. You will always find discount coupons and promotional codes offered to reduce the prices to a bare minimum.